Today is Day 10 and this gift falls into the “gifted” category. 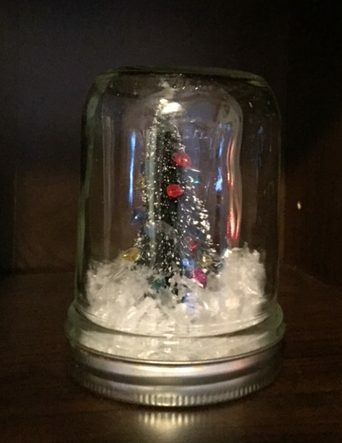 A bottle brush snow globe. This is not a new idea as it has been trending on Pinterest, YouTube and all over the internet not just this year but it seems in past years. There are many variations on this idea and I decided to use a mason jar as my globe (no surprise as everyone knows how much I love mason jars). This gift was so easy to pull together and took a total of five minutes. I found a little set of fake mini lights in my craft stash and decided to string them on the bottle brush tree before I glued the tree to the lid. Just add fake snow and it’s done! I think it is really cute and I’m not sure I want to give this gift away. For the moment it is sitting on a shelf in my living room. Maybe it’s Merry Christmas to me?? I invite you to come back and see what Day 11 brings. 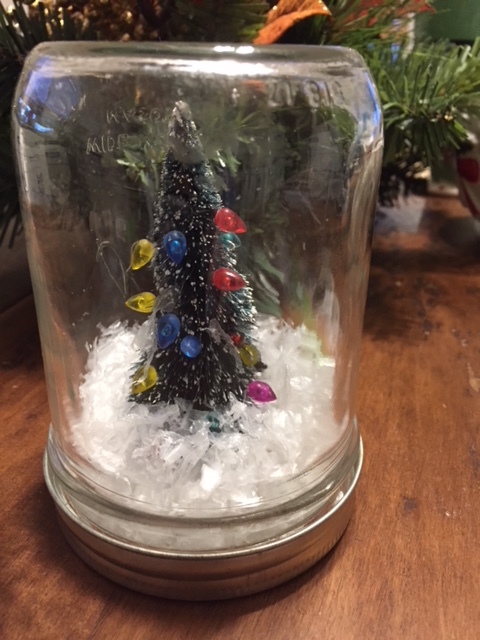 This entry was posted in Decorate, DIY, Make, vintage and tagged 12, 12 Days of Christmas, bottle brush tree, cheap, Christmas, Crafts, creativity, days, Decorate, DIY, easy, gift, gifts, ideas, inexpensive, mason jar, plaque, recycle, repurpose, reuse, simple, snow, snow globe. Bookmark the permalink. I made a bunch of waterless snow globes this year and had such a good time! I sincerely believe in getting Christmas presents for myself; who knows what I would like better than me! Merry Christmas. Like the snow globe and looks easy. Can see making a few and running down the table as a centrepiece. 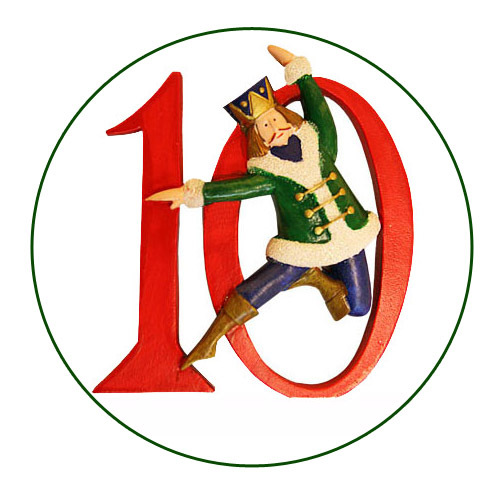 Can’t believe we are on day 10!! Love the idea of making several and using on the table, that would make a great tablescape and then guests could take one home..